Dr. Tom Sutcliffe, a house-hold name is the fly fishing community and a man that needs no introduction. 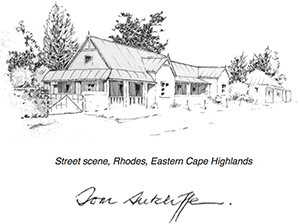 Dr. Tom Sutcliffe has a strong passion for fly fishing, and an even stronger passion for the various Trout species he has caught all over the World, he is a South African fly fishing legend in my (and many others) eyes and has done so much for the sport. Dr. Sutcliffe also does some amazing pieces of watercolour Trout art and at the time of posting this article, has written 6 books (All of which I have read at least twice). Dr. Sutcliffe is, and has been, a huge inspiration to me in my journey as a fly fisherman, which is why I am writing this article. The stories and adventures he has been on is enough to capture anyone’s imagination and take it away with them. Trout are my favourite freshwater fish species, and there is nothing better than catching a wild Rainbow or Brown in a clear mountain stream. 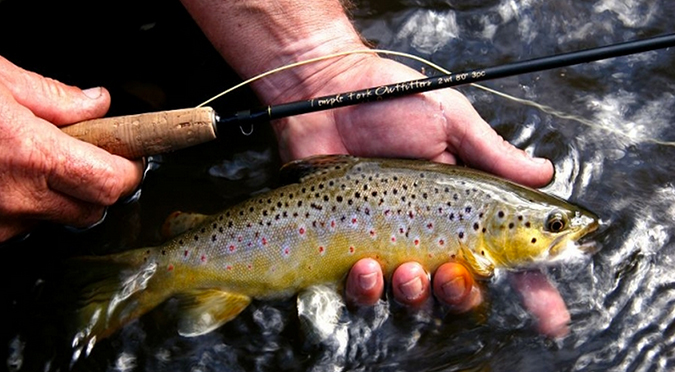 The absolute beauty of these fish is enough of a reason to present a dry fly to them. In many of Dr. Sutcliffe’s books and articles he describes these fish so well, and I would advise any keen fly fisherman to look out for any of his books. They are truly the closest thing you will find to fly fishing if you are not out on the water, and thus satisfy the cravings of fishing (Or, sometimes, making them worse). I have never met Dr. Sutcliffe personally but have spoken to him via email a few times. The knowledge and kindness he presents to anyone in need of help is outstanding, and he is a great ambassador for the sport of fly fishing. 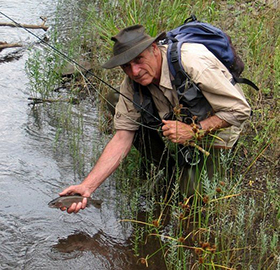 One of my favourite books from Dr. Sutcliffe is the near 450 page book, Hunting Trout. With amazing illustrations and superb maps, the words he has written in this book are just a bonus. But trust me the stories in here are enough to take you away to the Midlands, or the Eastern Cape streams. Dr. Sutcliffe, you are an amazing fly fisherman, artist and writer and I want to personally thank you for inspiring my fly fishing, and my mind, as much as you do!